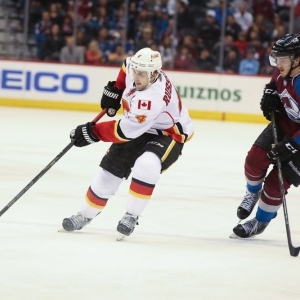 The Arizona Coyotes head to Scotiabank Saddledome to take on the Calgary Flames on Tuesday. The Coyotes are 19-41 in their last 60 road games. They are 14-37 in their last 51 vs. a team with a winning record and are 15-40 in their last 55 when their opponent allows 2 goals or less in their previous game. The under is 9-1 in the Coyotes last 10 vs. a team with a winning record and is 5-1 in their last 6 games following a win. The Flames are 6-1 in their last 7 home games following a road trip of 7 or more days. They are 19-7 in their last 26 vs. a team with a winning % below .400 and are 21-8 in their last 29 home games vs. a team with a road winning % of less than .400. The under is 5-0-1 in the Flames last 6 when their opponent scores 5 goals or more in their previous game and is 4-1 in their last 5 home games. In head to head matchups, the home team is 18-6 in the last 24 meetings. The Coyotes are 0-7 in the last 7 meetings in Calgary and are 0-4 in the last 4 meetings.